ISLAMABAD: The Islamabad High Court (IHC) on Wednesday ordered the caretaker federal government to make the Raja Zafarul Haq-led committee’s report on the issue of Election Act 2017, public, as it ruled that every citizen of Pakistan has the right to know the religious beliefs of persons holding key positions in the country. 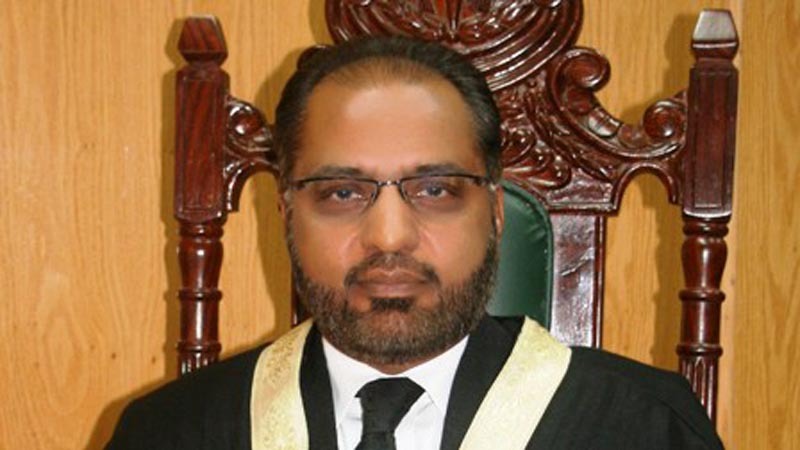 Issuing the 172-page verdict in the case pertaining to controversial amendments made to the Khatm-i-Nabuwwat (Finality of Prophethood (PBUH) oath in the Elections Act 2017 last year, Justice Shaukat Aziz Siddiqui ruled that an affidavit must be sworn by applicants of the Computerised National Identity Card (CNIC), passport, birth certificate, electoral rolls, and appointment in government and semi-government institutions especially the judiciary, armed forces and civil services. He stated that a Law Ministry draftsman had deliberately changed the affidavit in the oath to benefit the minority Ahmadi community. The order said that the court, “in the larger interests of the country”, is avoiding disclosing the names of many who held high positions in the bureaucracy, judiciary, military, naval, and air forces and other sensitive and important institutions while hiding their real religious identities as part of the Ahmadi community as it would “bring a bad taste”, but that the practice “has to be brought to a halt”. Regarding the change in the affidavit related to the Khatm-i-Nabuwwat oath, the court noted that it appears that a deliberate and motivated effort was made by the draftsmen of the bill to bring the Ahmadi community into the loop of majority in order to “diminish their separate identity as non-Muslims”. The court observed that parliamentarians had failed to identify the motive, lacuna and an effort to frustrate the constitutional amendment. However, soon after it was pointed out, the parliament, in its collective wisdom and understanding, made it conform to the requirements of the constitution. It is mandatory for the State to safeguard the sentiments and religious beliefs and also protect the rights of minority according to the religion of the State of Pakistan “Islam” declared by the Constitution of Pakistan. Citing Raja Zafarul Haq’s report, the court pointed out that the then law minister Zahid Hamid being chairman of the committee that prepared the Elections Act 2017 admitted his failure to overlook the mistake of draftsman. The court declared that appointment of non-Muslims to constitutional posts is against organic law and rituals. Non-Muslims do not qualify to be elected to certain constitutional offices, Justice Siddiqui stated, adding that there are seats reserved for non-Muslims (minorities) in most institutions, including Parliament. 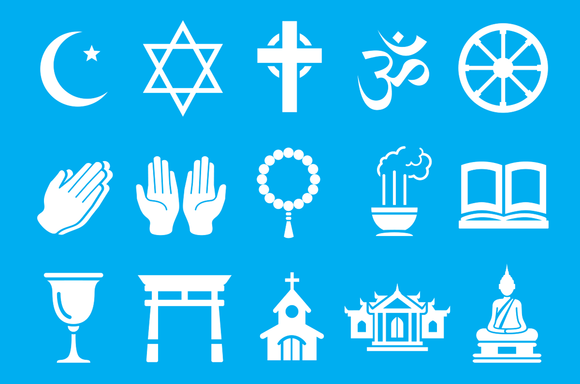 “When any member of the minority group conceals his/her religion and belief through fraudulent means… is actually an open defiance to the words and spirit of the Constitution,” the judge stated. To prevent this disobedience, the state must take immediate measures, he declared, adding that a citizen doing so would betray the state, resulting in exploitation of the constitution. Justice Siddiqui observed that minorities residing in Pakistan held a separate identification in reference to their names “but one of the minorities did not hold a distinct identification due to their names and general attire, according to the constitution”. “These matters demand such sensitivity and unity,” he stated. The IHC ruled that parliament may make necessary legislation and amendments to the existing laws to ensure that all the terms specifically used for ‘Islam’ and ‘Muslims’ were not used by the persons belonging to any of the minorities for hiding their real identity or for any other purpose. “The matter of absolute and unqualified Finality of Prophethood of Muhammad (PBUH), the last of the Prophets, is the nucleus of our religion,” the order stated. It asked NADRA to fix a timeframe for citizens who intended to make corrections or changes to their existing particulars, especially religion. The court also advised all the institutions to engage Muslim teachers for teaching Islamiat/Deenyat as a subject. Justice Siddiqi asked the government to take immediate steps to conduct an inquiry concerning the “alarming and visible difference” in the population record of the Ahmadi community available with NADRA and figures collected through recent census. “It is binding on the state to take care of the rights, feelings and religious beliefs of the Muslim Ummah and to also ensure the protection of rights of minorities in the light of teachings of Islam being the religion declared by the Constitution of the country,” Justice Siddiqui stated. The amendment to the Khatm-e-Nabuwwat oath had led to weeks-long sit-in in Islamabad following which the then PML-N government capitulated to the demands of Tehreek-e-Labbaik Pakistan (TLP) and sacked its law minister, Zahid Hamid.